Renewable energy is a trending topic these days. The growing population is causing an increase in demand of energy every day. The non-renewable energies are limited so when the production stops there will be a direct inflation. Renewable sources are sustainable, long-lasting, abundant and environment-friendly. They are not going to expire anytime soon like fossil fuels because they are constantly restocked. Renewable sources have their own deficiencies. They are highly reliant on the weather. Any major change in the weather can cause a reduction in the production of the energy from the sources. We cannot completely rely on renewable energy anytime soon but small changes can be made gradually so because it will be economically and environmentally beneficial. The argument continues about the pros and cons. Mentioned below are some pros and cons of renewable energy. There is a good amount of points which are in favor of renewable energy. The main pros renewable energy has is that they will never run out. There are other pros to renewable energy too. The price of renewable energy stays constant all the time, unlike fossil fuels. The price of fossil fuels fluctuates depending upon the supply. The cost of production from renewable energy sources solely depend upon the amount of money which has been spent on the infrastructure. As the cost doesn’t depend on the production the price of the bulk of energy coming from renewable sources are more stable. The main objective of renewable energy stations is to provide the continuous source of energy to a particular area. A lot of conversions isn’t needed to be done in order to produce electricity from solar or wind generator. There is no tension about solar power running out because the sun is going to shine for another billion years. Undoubtedly solar energy is renewable and sustainable. Water and Wind will constantly be a source of energy. The reliability of renewable energy is far higher than fossil fuels. The Sun always rises and the wind always blows so there is no limit to the source of energy. Whereas fossil fuels are limited in quantity and hard to find. When one type of fossil fuel runs out, the whole process is demolished. This leaves a lot of workers unemployed and also causes inflation of the prices of the fossil fuels. One renewable energy station is set up, it always has a constant and permanent source of fuel. On the other hand, the supply of fossil fuels can be interrupted by wars, trade disputes and also political instabilities. As the sunlight and wind are constant, each country can take advantage of it and produce clean energy on a larger scale. Renewable energy plans always claim that they have much lower carbon footprint than any fossil fuel. Which is actually very accurate. Renewable energies are more eco -friendly as they don’t pollute the surroundings with carbon dioxide and other toxic gases. They keep the environment clean, unlike the fossil fuels. As renewable energies are unlimited they don’t reduce the number of natural resources which can be saved for a long time. Using the proper amount renewable energy will result in a slower decline in natural resources. When a project of renewable energy starts, it provides employment to a good number of people around the world. The technologies used in renewable energy tends to be cheaper in the long run because it requires a very minimum amount of maintenance. The future depends on the renewable energy because one day the fossil fuels will run out. Many countries can use renewable energy sources to reduce their dependency on fossil fuels such as coal, oil, and gas. Uncountable numbers of jobs have been created all over the world after the country switched to renewable energy sources. 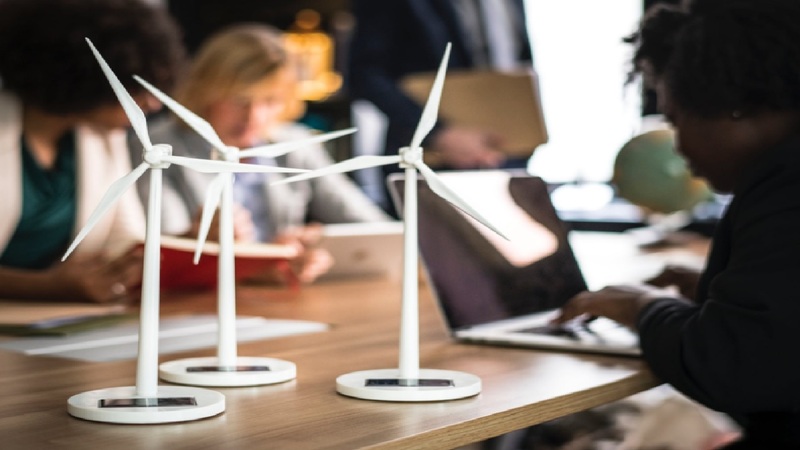 The employees working in renewable energy projects tend to be healthier than the ones working on the fossil fuel extraction projects because there is less carbon footprint in the renewable energy projects. Once the setup is done on a renewable energy project, the overall cost of operation is way lower than the cost for fossil fuel. The methods used in extracting fossil fuels are more expensive than renewable energy. The higher cost used in fossil fuels can easily be minimized if people are more dependent on renewable energy. The money saved after the renewable energy projects are made can be used for other developments. Small changes can be made to utilize the renewable energy. Solar panels on homes to small wind farm many different types of renewable energy can be used in rural areas, not just that it can also be used in urban areas. This is possible because renewable energy has low-cost micro station options. No specified mechanism is needed to use renewable energy. As renewable energy can be used very easily it is barely wasted. A lot of wastage of non-renewable energy is done while transporting energy from major stations. It is very important to know the shortcomings of renewable energy plans. The cons are as much as important as the pros. If you know the deficiencies of renewable energy, it might help you upgrade their implementation. The development cost for renewable energy stations is very high. The research and manufacturing of the components to work successfully is very expensive. The manufacturing and construction costs for fossil fuels are less because they are already in place. Renewable energy is very dependent on the weather. Which makes it very vulnerable to the weather conditions. Any change in the climate can cause a good amount of loss in the production of energy. Climate changes such as abundant rain and slow wind can affect the production of energy. In climate changes energies are hard to produce. To cope up with these climate changes we can reduce our consumption of energy. Many renewable energy projects might be inoperable in the next 50 years because of the climate change. Coal powered electric plants that supply plentiful amount of power is more efficient than renewable energy. Renewable sources are less efficient because it doesn’t produce a sufficient amount of energy in a short period of time. The technology used in the production of energy using renewable energy is new. Other factors such as weather hamper the production of energy. Thus, energy from renewable energy sources cannot be produced in large scale. The solution to this problem is to reduce our consumption of energy. Or to set up other facilities which will increase the speed of production of energy. Raw material plays a big role in the production of energy using renewable energy. Not all places have solar intensity, wind or water. As the quantity and quality of supply of raw material aren’t constant. It is mandatory to have an infrastructure for transporting the energy. The quality and quantity of energy will not be constant. The results of the production of energy might not always be optimum. In order to produce a sufficient amount of energy, a large space is needed. Which is very difficult to find with the rising population around the world. A large amount of space is needed to set up a large number of solar panels to give enough amount of energy. There is always a scarcity of land. So it is difficult to produce a large amount of energy from renewable energy.